ALTHOUGH a little bit disappointed, former ONE Championship strawweight world champion Joshua Pacio remains upbeat of getting his belt back in the future after yielding to Yasuke Saruta. Pacio is the first Tem Lakay to defend the four titles they hold in Asia’s largest mixed martial arts organization was stunned by the Japanese challenger after yielding to a split decision in their five round encounter Saturday evening, January 19. “I was a bit disappointed on my performance but more on motivated to comeback stronger,” said Pacio. The 31-year-old challenger used a combination of relentless pressure and repeated takedown attempts to get the nod from two of the three cage side judges. In the opening stanza, Saruta caught an attempted head kick from Pacio and put the defending titleholder on his back. When the action returned to his feet, the Japanese challenger looked to push forward at every opportunity. He exerted controlled pressure to force Pacio onto the back foot and into a counter-striking role. 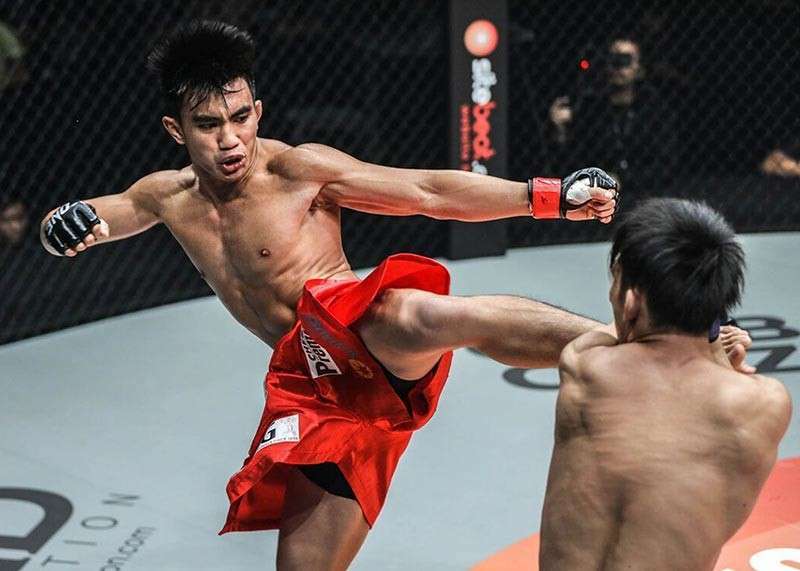 Following a steady start, the 23-year-old Team Lakay stalwart upped his output in the second round, as he scored with a solid straight right and a clean head kick. But Saruta maintained his forward pressure and continued to force the World Champion to operate off the back foot. Pacio began to work his wushu strikes into the contest, and he showed excellent reaction and recovery abilities to instantly escape from a lightning-fast “Tobizaru” takedown in the final minute of the period. But despite the loss, Pacio feels he learned a lot in his match against Saruta and looking forward for a rematch. “It was an honor facing Saruta. A lot of learning from my weaknesses, get back to the drawing board and looking forward to get the belt again,” Pacio added. It was an unfruitful night for the country’s top MMA team as Edward Kelly also fell against Christian Lee in their rematch. Lee turned in a dominant performance over Kelly, finishing the Filipino Team Lakay veteran in the first round with punches. After a brief exchange on the feet, Lee took matters to the ground and worked himself into full mount. From top, Lee pounded Kelly with downward strikes until the referee called a halt to the contest. But even with the recent setback, Coach Mark Sangiao in a Facebook post said the team remains optimistic of their campaign this year as they look forward to defend three more titles in the coming months. “We cannot afford to wail and whine. No, we have no time for that. We need to stay forward-looking, learn from our insufficiencies. We’ll be on our training wears, on those training gears. This time, more solid, denser, firmer,” Sangiao said.